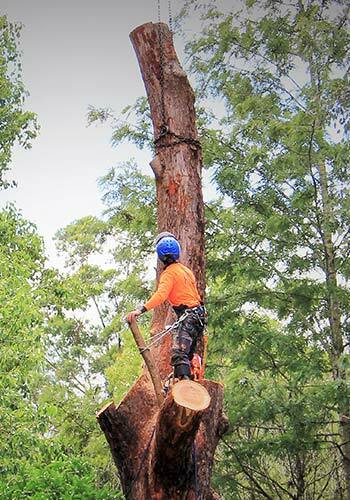 The cost estimator is designed for those who want to find out how much a tree removal might cost. This cost estimator is intended for use by residential home owners only and does not incorporate the extra complexities which arise in a commercial situation. Please note: This cost estimator is not a quote, and is not designed to replace an onsite inspection of the tree by an experienced arborist – use as a guide only. Which picture best fits the look of your tree? Is there any of the following services and items under the trees canopy?